At Superlodge Canada Lethbridge, enjoy a satisfying meal at the restaurant. A complimentary continental breakfast is served daily. Located in Lethbridge, Knights Inn Lethbridge is within a 15-minute drive of Lethbridge College and University of Lethbridge. This motel is 0.2 mi (0.3 km) from Nikka Yuko Japanese Garden and 0.5 mi (0.7 km) from Spitz Stadium. Featured amenities include a computer station, complimentary newspapers in the lobby, and dry cleaning/laundry services. Event facilities at this hotel consist of conference space and a meeting room. Free self parking is available onsite. With a stay at Ramada by Wyndham Lethbridge in Lethbridge, you'll be within a 15-minute drive of Lethbridge College and University of Lethbridge. 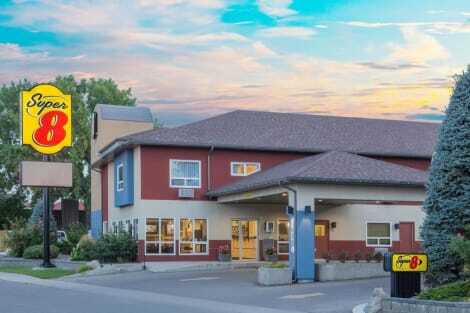 This hotel is 0.6 mi (0.9 km) from Nikka Yuko Japanese Garden and 0.8 mi (1.3 km) from Henderson Lake Golf Club. Enjoy recreational amenities such as an indoor pool and a fitness center. Additional amenities at this hotel include complimentary wireless Internet access, gift shops/newsstands, and a banquet hall. With a stay at Premier Inn And Suites in Lethbridge, you'll be in the business district, within a 10-minute drive of Lethbridge College and Nikka Yuko Japanese Garden. 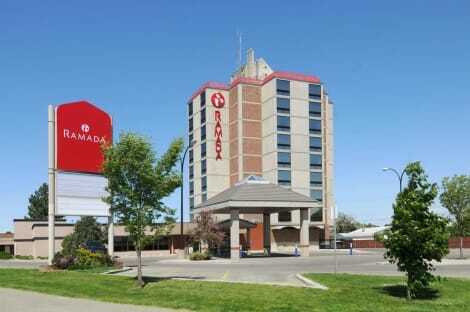 This eco-friendly hotel is 7.1 mi (11.4 km) from University of Lethbridge and 1 mi (1.5 km) from Enmax Centre. Take advantage of recreation opportunities including a spa tub and a fitness center. Additional amenities at this hotel include wireless Internet access (surcharge) and a television in a common area. Grab a bite from the grocery/convenience store serving guests of Hampton Inn & Suites by Hilton Lethbridge. A complimentary buffet breakfast is included. lastminute.com has a fantastic range of hotels in Lethbridge, with everything from cheap hotels to luxurious five star accommodation available. We like to live up to our last minute name so remember you can book any one of our excellent Lethbridge hotels up until midnight and stay the same night.